Grace's Guide is the leading source of historical information on industry and manufacturing in Britain. This web publication contains 132,942 pages of information and 210,195 images on early companies, their products and the people who designed and built them. December 1901. 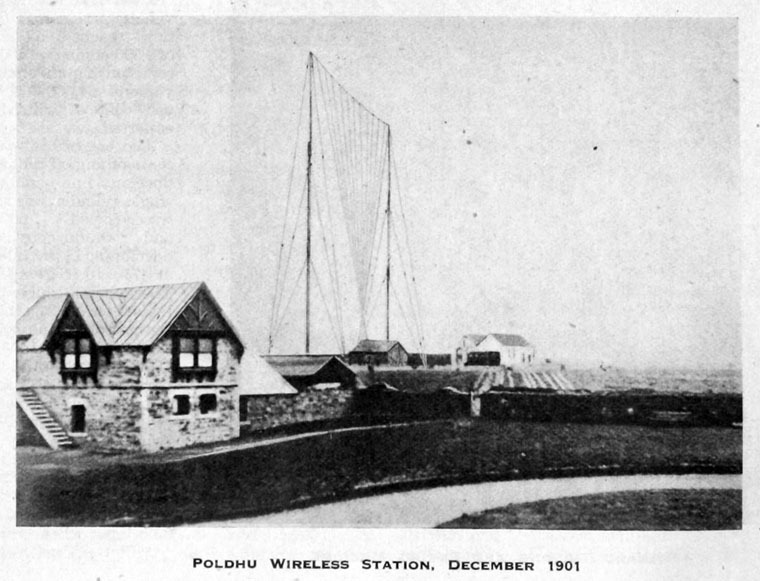 Poldhu Wireless Station. July 1906. Coils for cars. 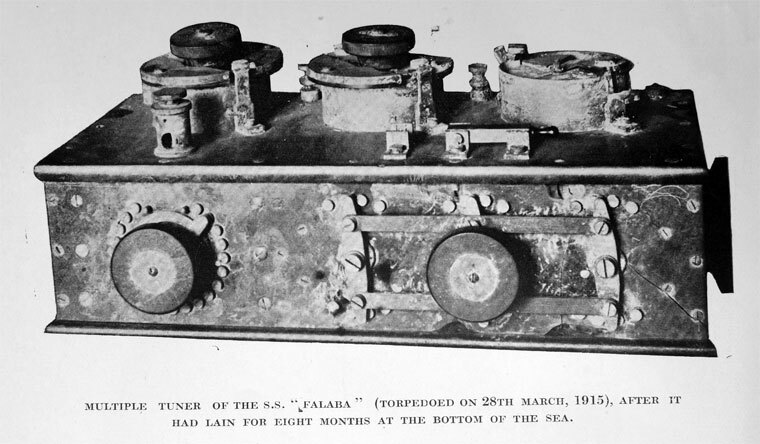 Tuner from the SS Falaba torpedoed on 28th March 1915 and recovered from seabed after eight months. 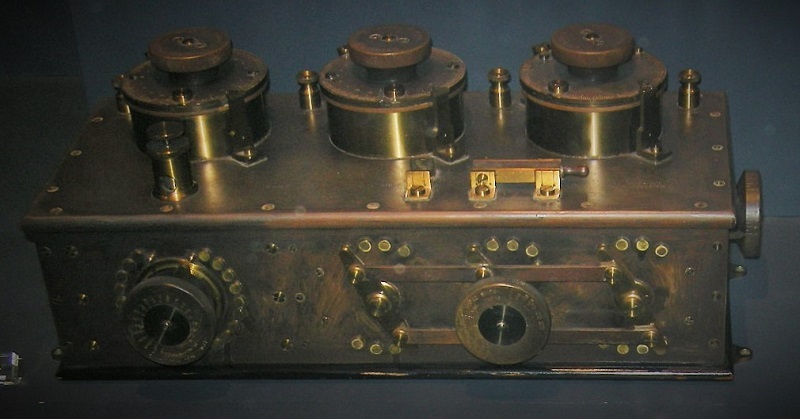 WWI spark transmitter. Exhibit at Amberley Working Museum. 1917. Vacuum Amp Gauge and Shuntless Ammeter. 1917. 1/4 Kilowatt set - Transmitting. 1917. 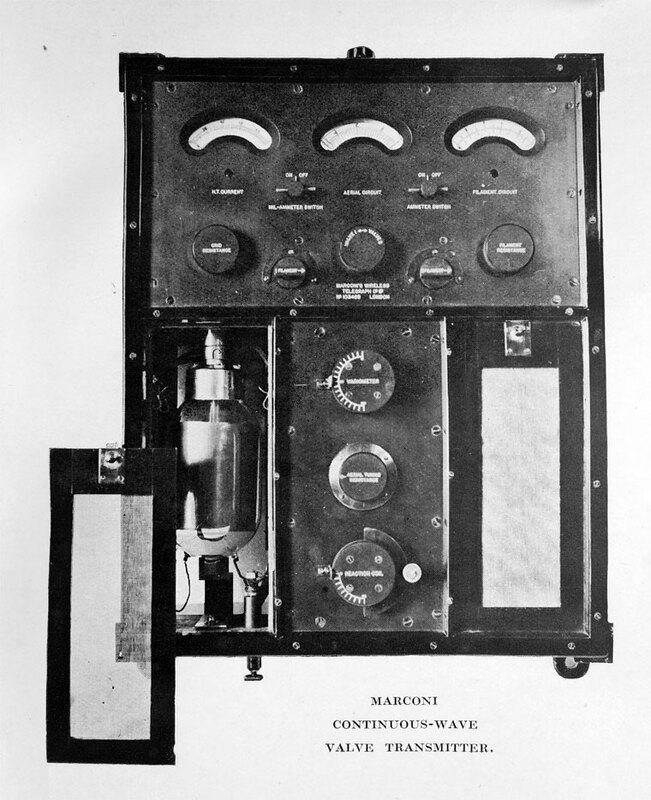 350-500 Watt Aircraft Station Apparatus with Musical Spark. 1917. 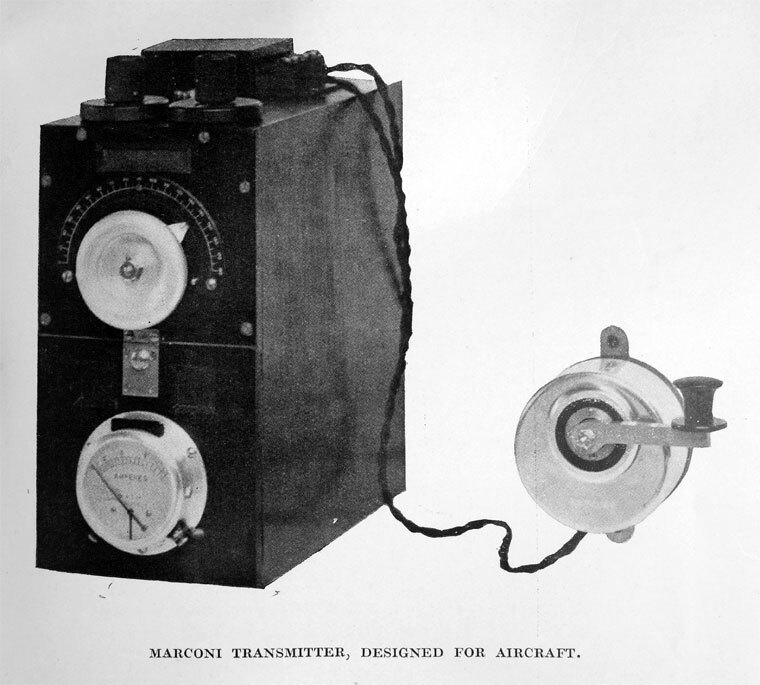 Transmitter designed for Aircraft. 1917. 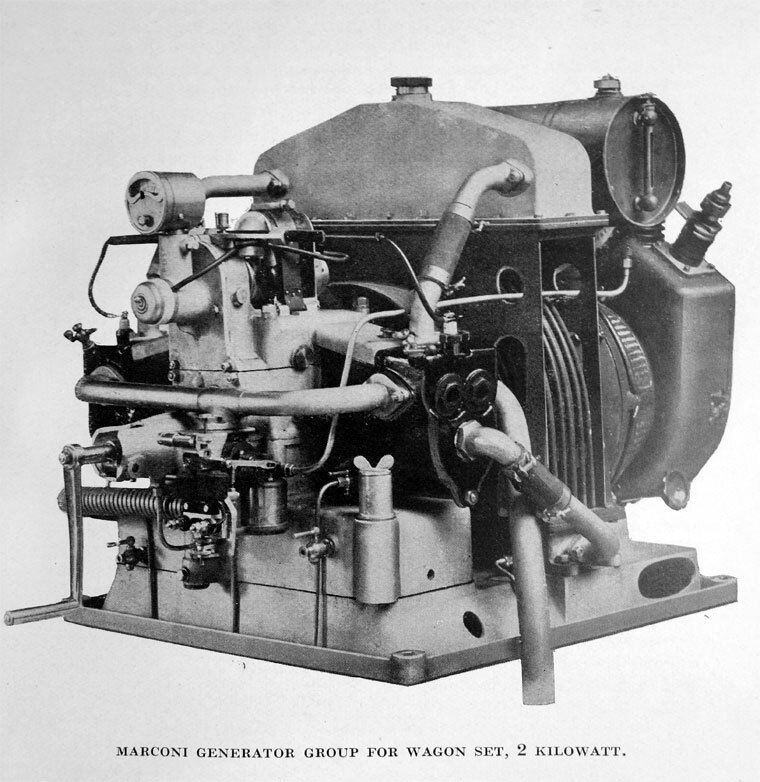 Generator Group for Wagon Set - 2 Kilowatt. 1917. 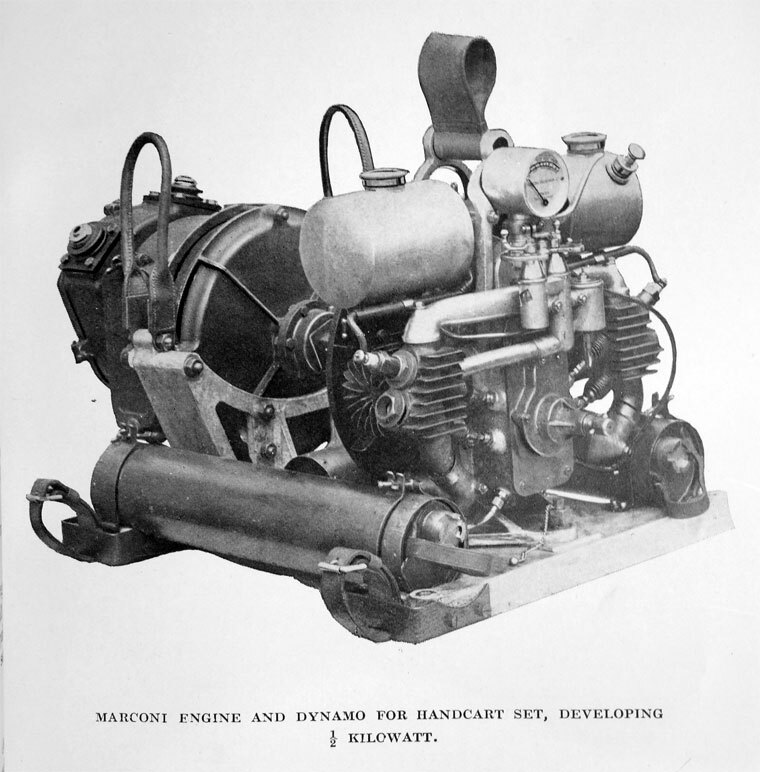 Engine and Dynamo for Handcart Set - 1/3 Kilowatt. 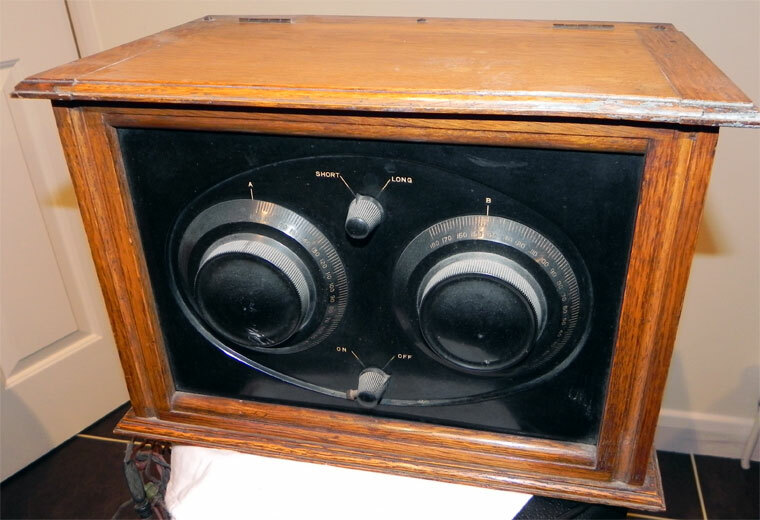 Early two-valve radio made under Marconi patents. December 1951. H.F. Channelised Transmitters - HC 100 Series. 1953. 80in focal length lens for television cameras. 1959. Aerial Head of new Airport Surveillance Radar. 1959. 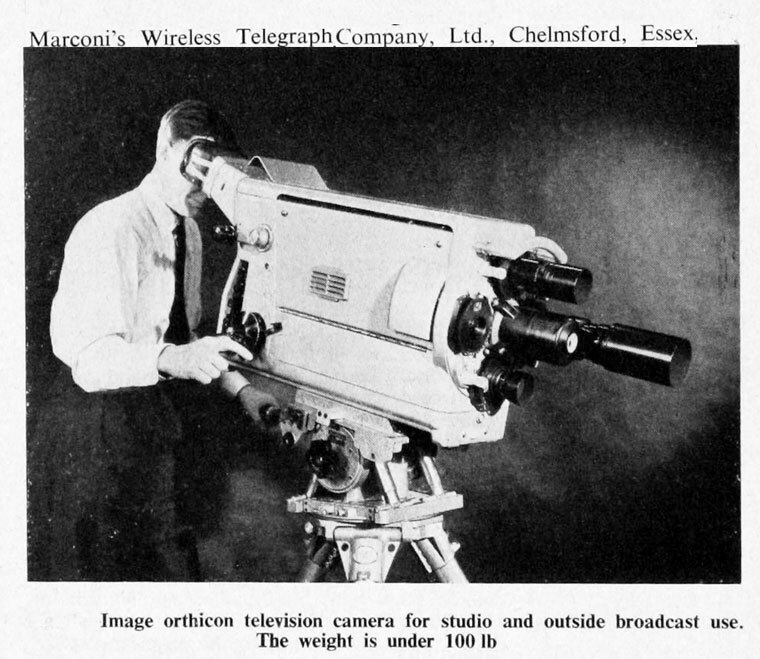 Image Orthican Television Camera. 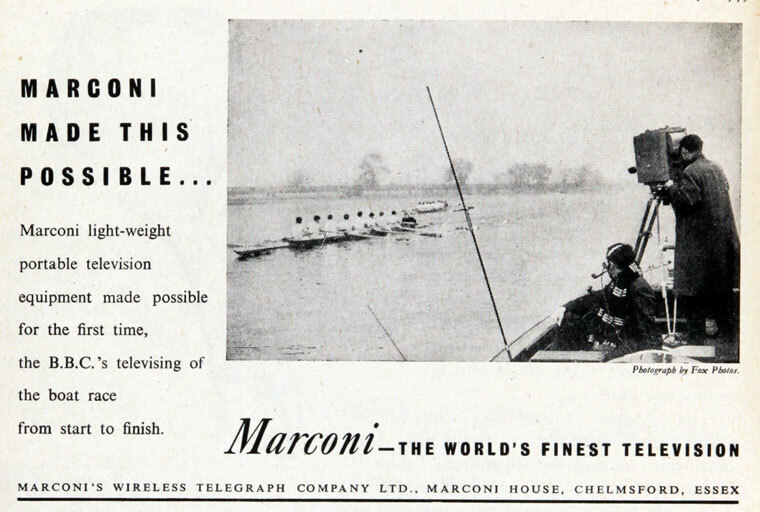 Marconi's Wireless Telegraph Company of Marconi House, Chelmsford, Essex. 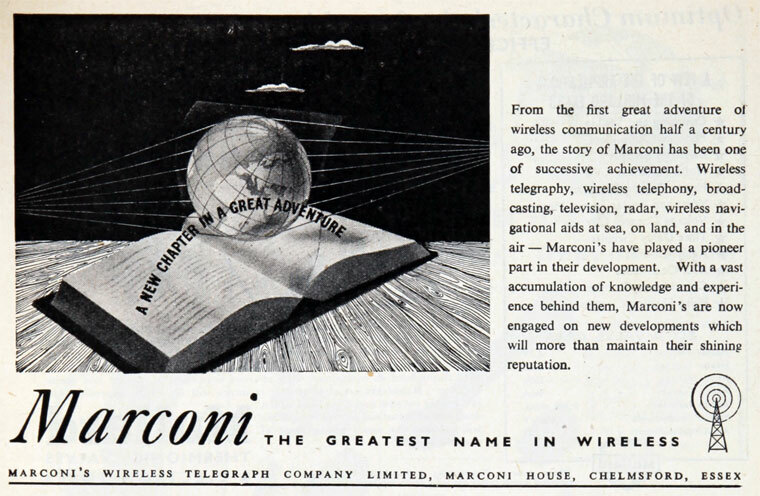 1897 The company was registered in July as the Wireless Telegraph and Signal Co on the 20th July to acquire patent rights from Guglielmo Marconi. 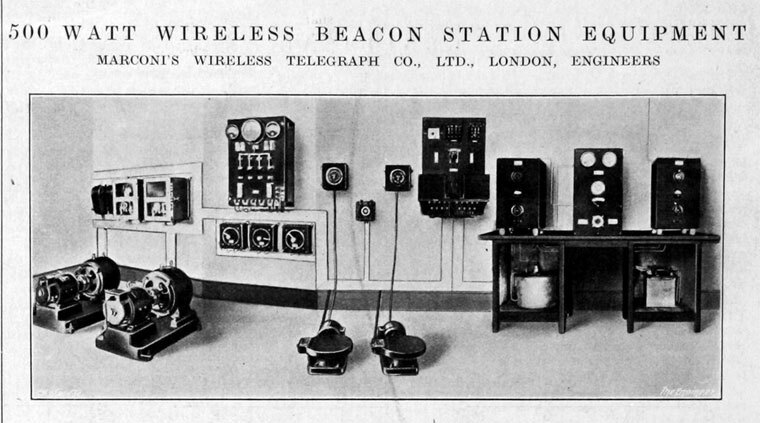 1898 The first wireless factory was set up in Hall Street, Chelmsford. (Today, the Hall Street building is owned by the Essex and Suffolk Water Company). Premises were needed for the new organisation. 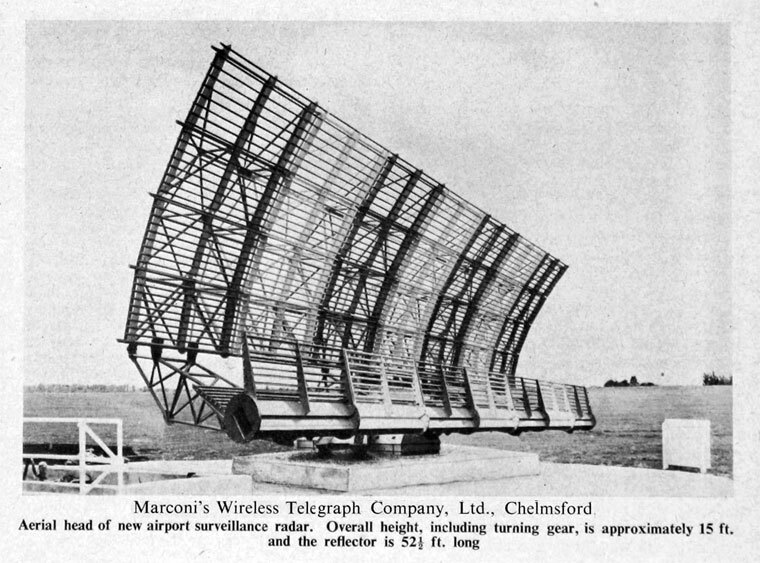 Marconi decided upon a place that was a relatively short distance from London and accessible by rail; Chelmsford was an ideal location. In December, the first wireless factory in the world was set up in an old silk factory in Hall Street. 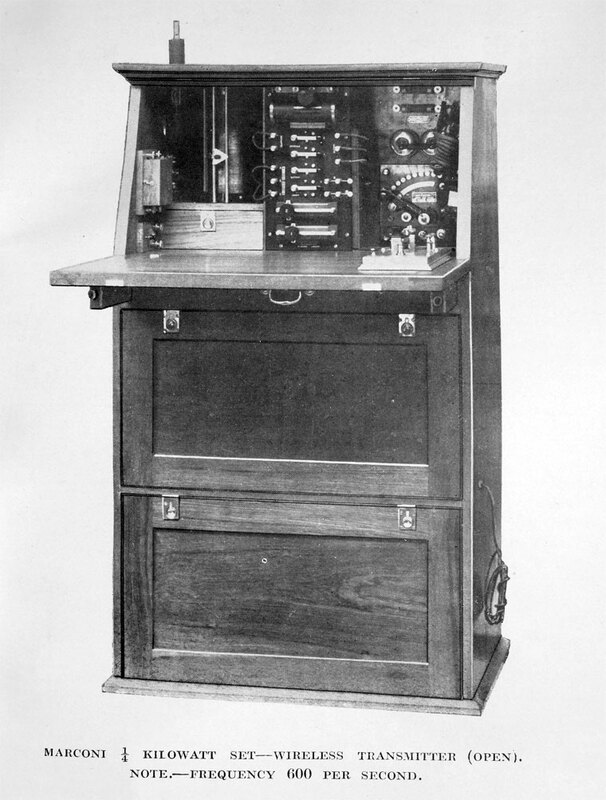 1900 The famous '7777' patent was granted on 26 April, which documented a system for tuned coupled circuits and allowed simultaneous transmissions on different frequencies. Adjacent stations were now able to operate without interfering with one another and ranges were increased. 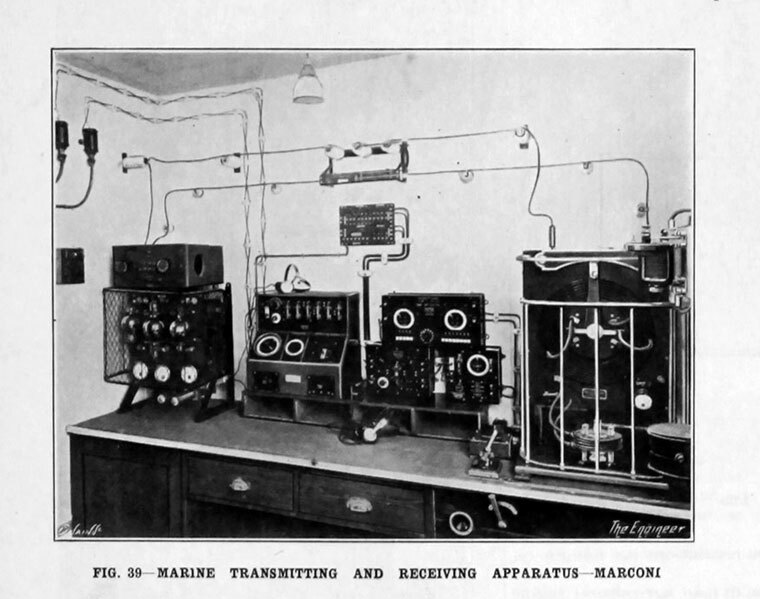 1901 Guglielmo Marconi achieved communication over 198 miles between the Isle of Wight and the Lizard in Cornwall. This was a fitting limbering-up exercise for his marathon transatlantic attempt. 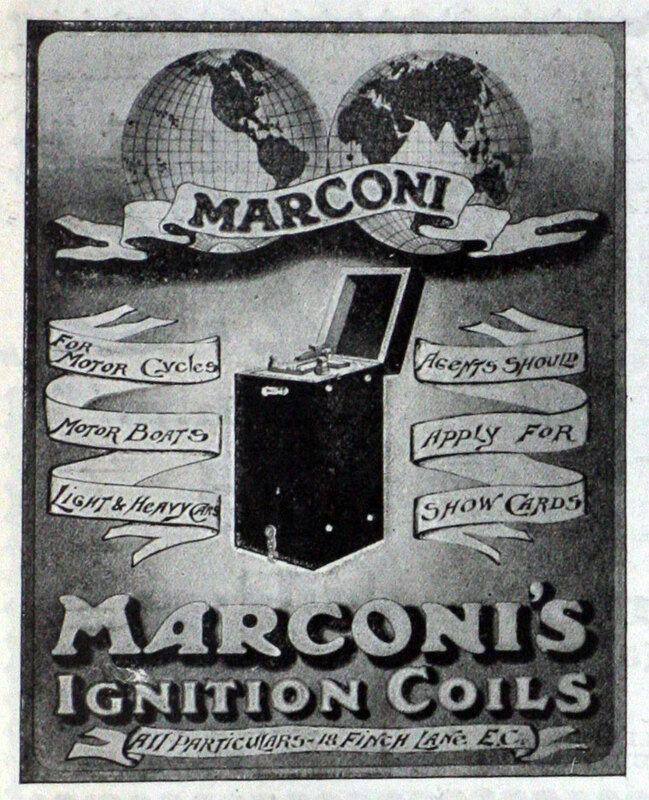 It was a huge gamble in both scientific and financial terms for Marconi and his infant company. For the experiment, Poldhu in Cornwall was selected as the site for the British station and Cape Cod selected as the location to build the American Station. This site was later abandoned for a temporary installation at Signal Hill, St. John’s, Newfoundland. 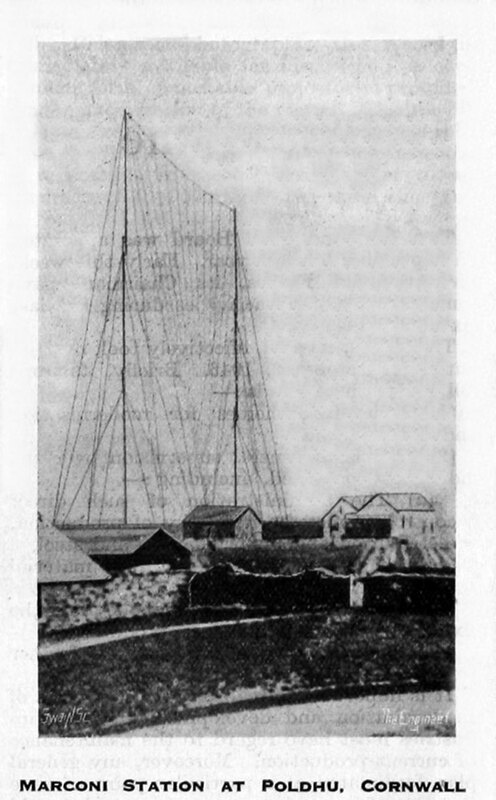 On 12 December, a blustering gale at Signal Hill made it difficult for Marconi and his assistants to launch the aerial on its kite, but at 12.30, 1.10 and 2.20, he was able to pick up the three dots of the Morse code ‘S’ that were being transmitted from Poldhu. The age of long-distance communication was born. 1904 The company gambled on building two larger and more powerful stations to replace Poldhu and Table Head. 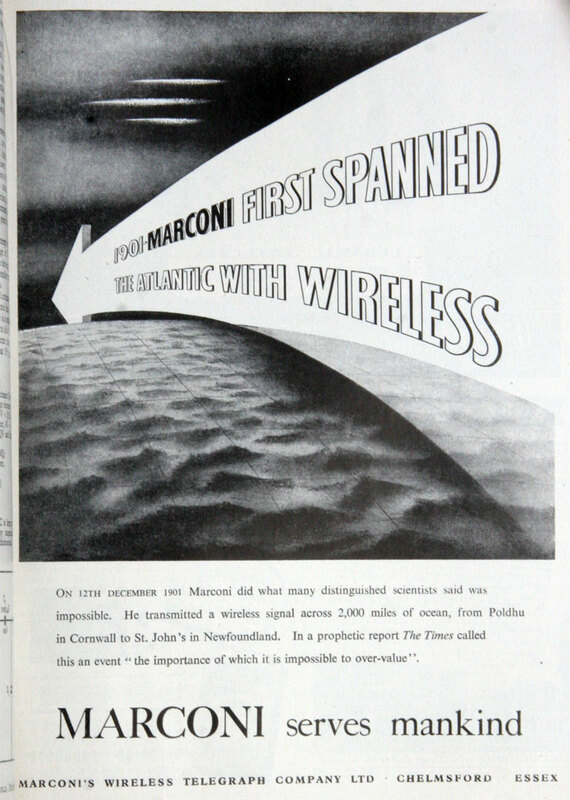 Sites were chosen at Clifden, on the west coast of Ireland, and just south of Glace Bay in Canada, now called Marconi Towers. 1907 The Clifden station was completed. A public service began between the stations on October 17, 1907, with ten thousand words being exchanged on the first day. 1909 Richard Hammersley Heenan, Capt Henry Rial Sankey and Frederick Whowell, managing director of the Bleachers Association, Manchester joined the board. 1912 The Marconi Works at New Street, Chelmsford were designed and erected to replace the works at Hall Street, which had become inadequate for the needs of the growing Company. New Street was the first purpose-built radio factory in the world and ultimately became the Marconi Company headquarters. The site, part of which faces onto New Street and is Grade II listed, remained a Marconi site until 2003. 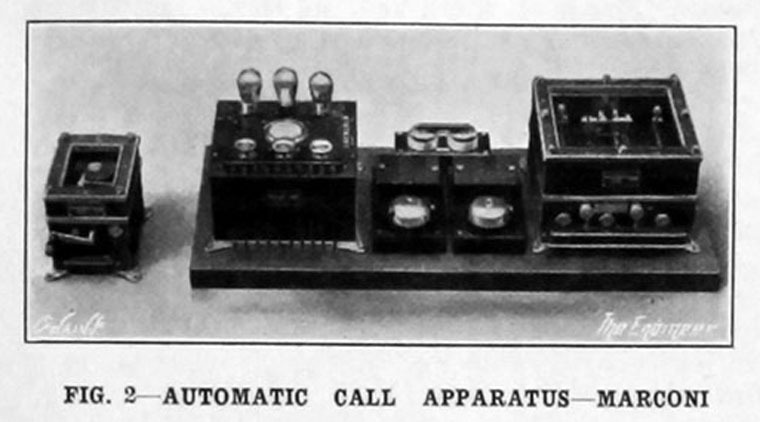 1913 Set up the Betulander Automatic Telephone Company which later became the Relay Automatic Telephone Co.
1919 Marconi-Osram Valve Co formed as company owned jointly by GEC and Marconi's Wireless Telegraph Co.
1919 Peter Pendleton Eckersley was appointed Head of the Experimental Section, Air­craft Department at Writtle, near Chelmsford. During his time in this role, he designed the Croydon Airport ground station transmitter. 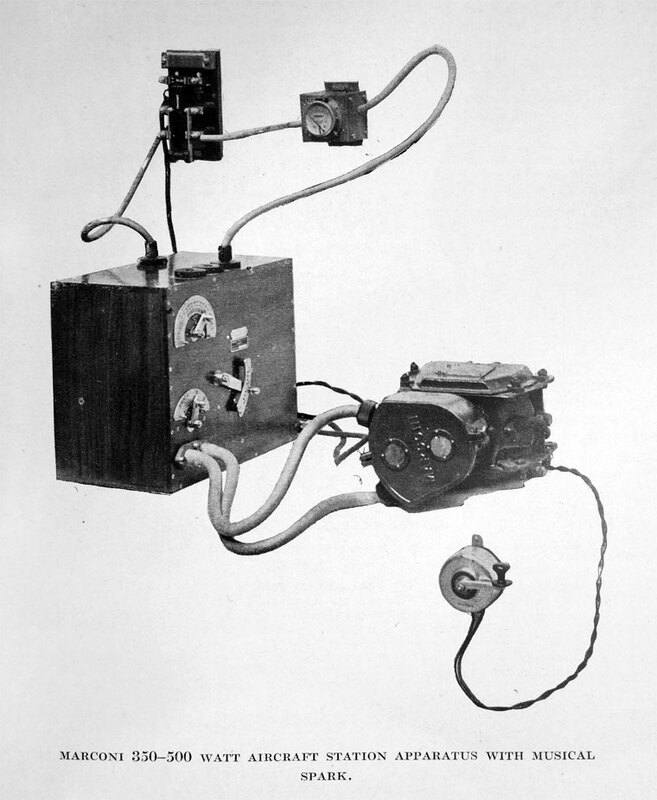 1920 Another important area in the advances made in wireless telephony lay in public broadcasting. 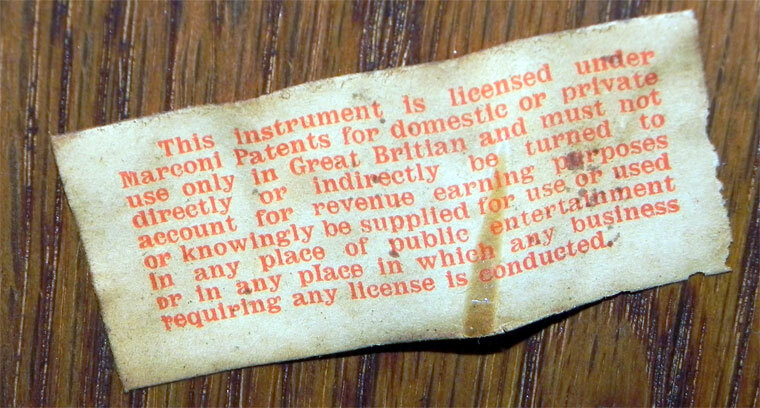 On 15th June, Britain’s first advertised public broadcast programme took place. 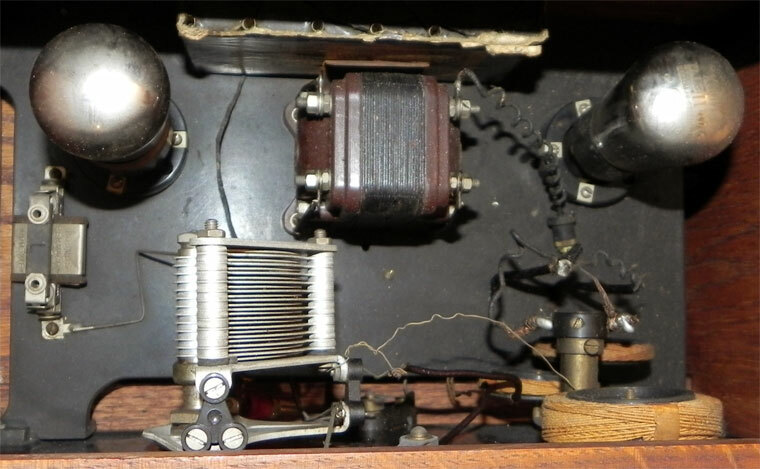 A song recital by Dame Nellie Melba was broadcast using a Marconi 15 kW telephone transmitter at the Marconi works in Chelmsford, and was heard in many countries. 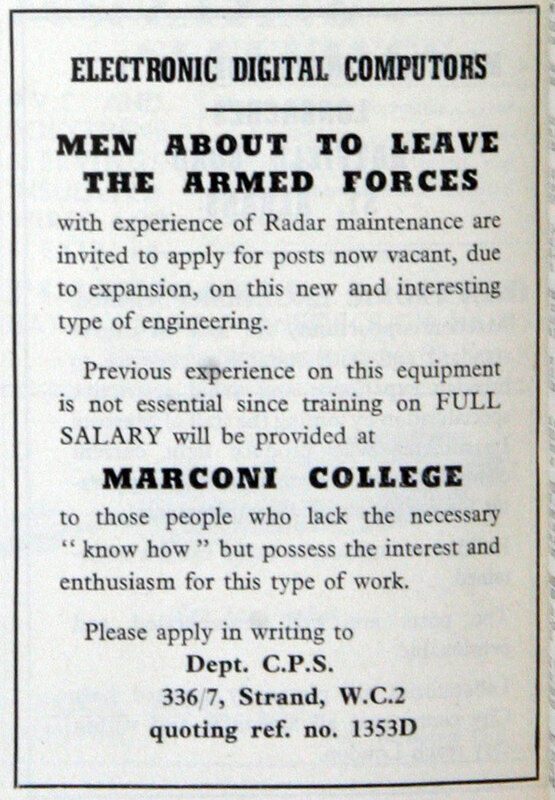 1921 On the merger of the Aircraft Department and the Field station department, Eckersley became head of the Design department. 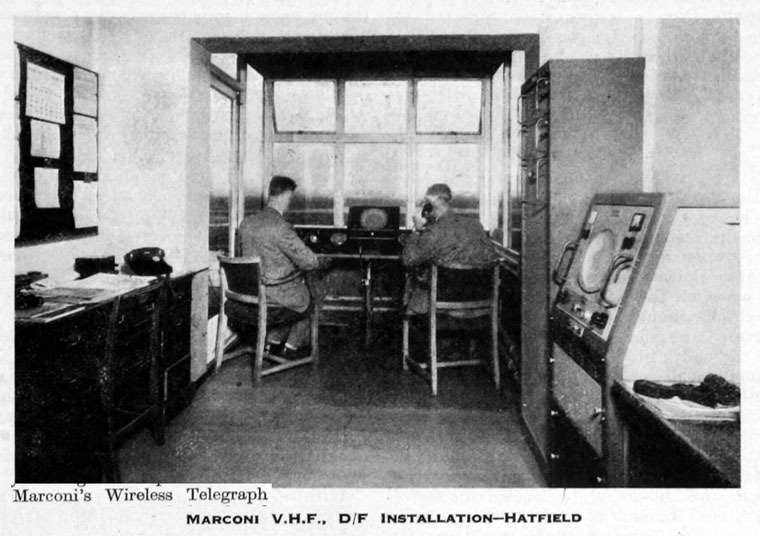 1921 the Company was permitted to broadcast the first regular public entertainment programme from a low-power transmitter at Writtle, near Chelmsford, and later from the first London station at Marconi House. 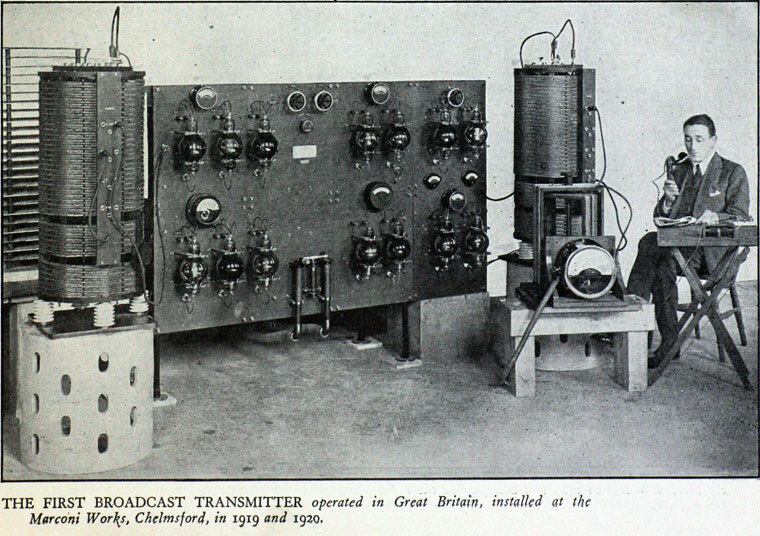 1922 The first regular broad­casts in the United Kingdom were made from the experimental station 2MT at Writtle. 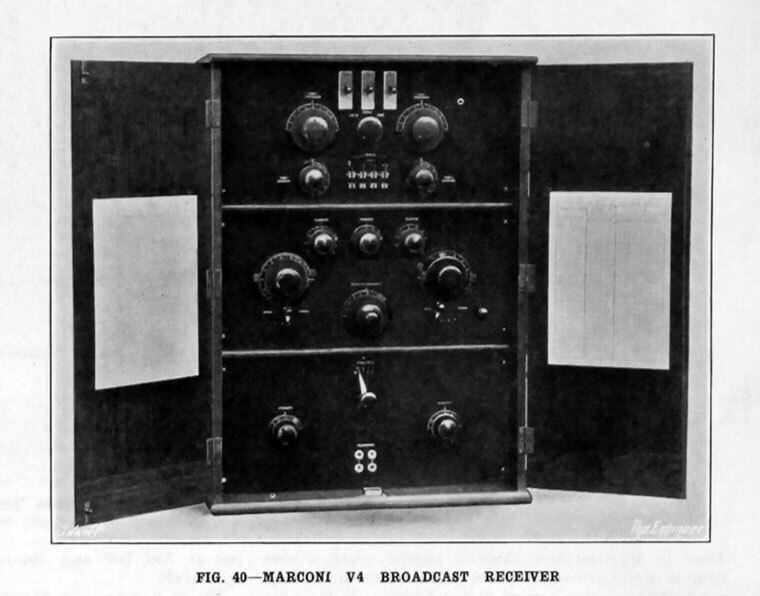 1922 Unrestricted competition in transmission was checked, however, when the question of broadcasting was referred to the Broadcasting Sub-Committee of the Imperial Conference. All the competing interests were merged into the British Broadcasting Company, later to become the British Broadcasting Corporation (BBC). 1922 25th AGM. Directors were Guglielmo Marconi Chairman, Godfrey C. Isaacs Deputy Chairman and MD, Henry W. Allen, William W. Bradfield, Maurice A. Bramstone, Lord Herschell, Alphonso Marconi, H. Riall Sankey, Adrian F. H. S. Simpson, Sidney St. J. Steadman and Charles J. Stewart. .
1922 The "Otophone" was developed as an aid for the deaf. 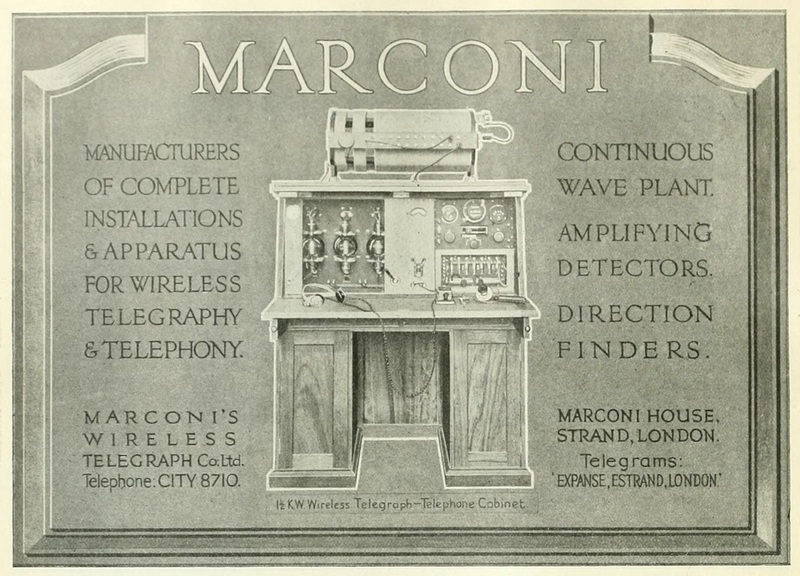 1923 Marconi sold its interests in domestic radios and rights to use the Marconi name to Marconiphone Co.
1924 Following the development of short wave radio telegraphy, the Marconi Wireless Telegraph Company entered an agreement with the British Government to provide stations for the Imperial Wireless Chain in England, Australia, Canada, India and South Africa. 1924 Godfrey Charles Isaacs retired as managing director and deputy chairman of the boards of directors. He was succeeded by F. G. Kellaway. 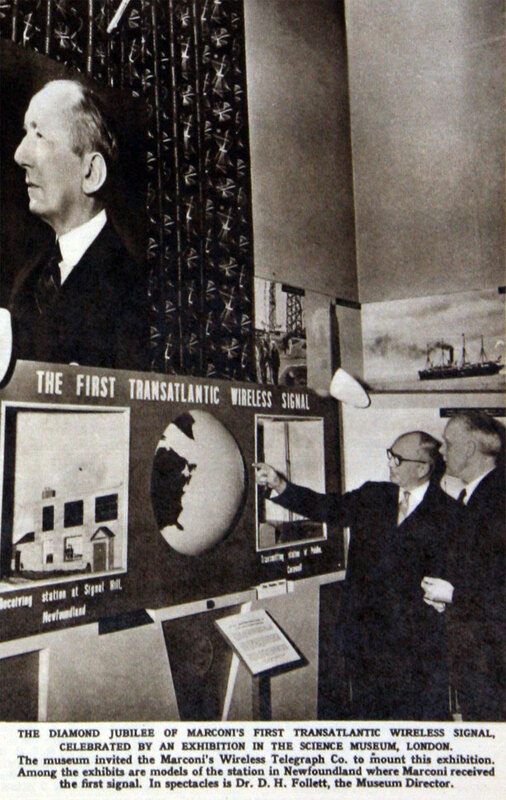 1926 The transatlantic long wave service, with its Irish and Cape Breton stations, had become obsolete and was closed. 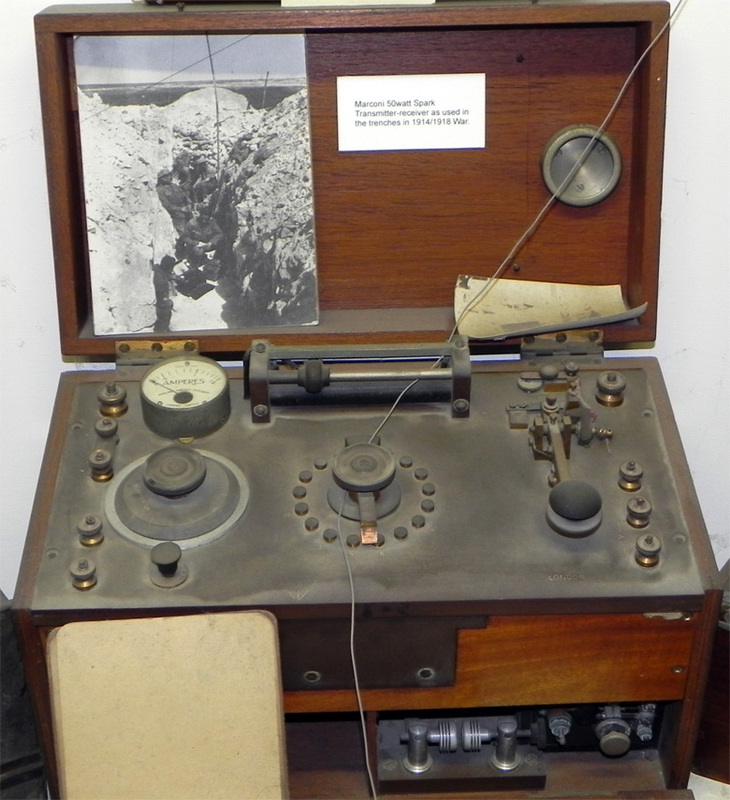 1928 Decision to merge the communications methods of the British Empire into one operating company because of increasing competition facing the cable telegraph companies from companies using radio communications. 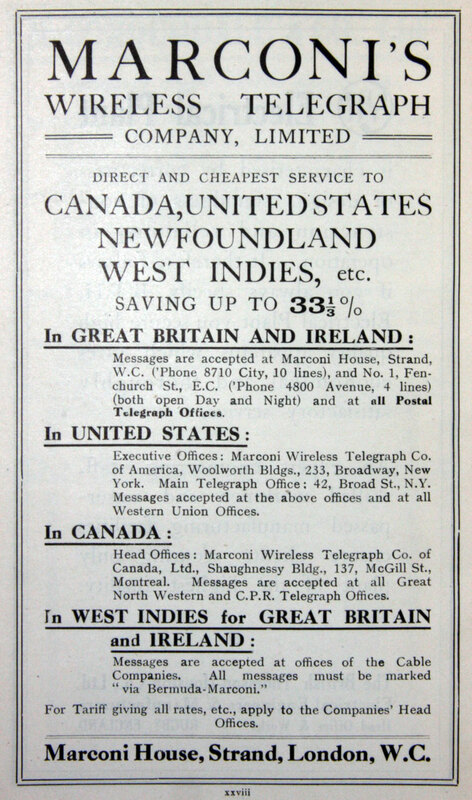 The British Government formed the Imperial and International Communications Ltd to carry out these operations. 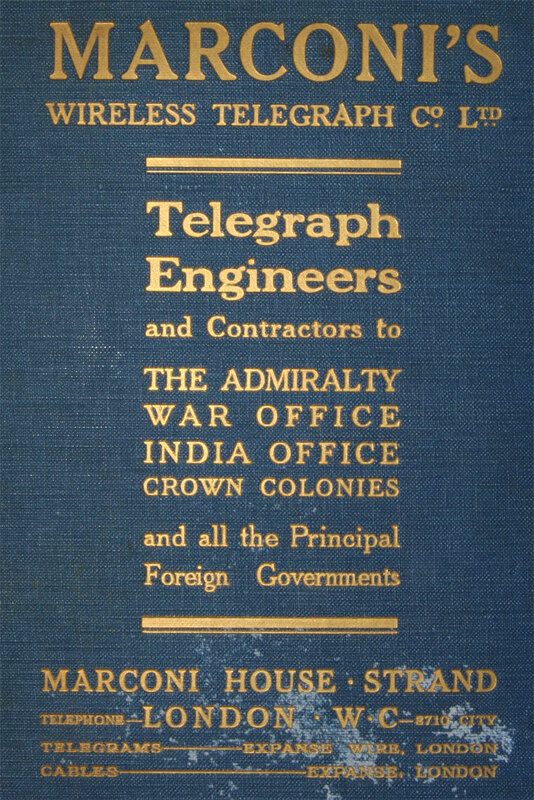 The operations merged included those of Eastern Telegraph Co, Western Telegraph Co, Eastern Extension Co, the Pacific and European Co, and Marconi's Wireless Telegraph Co, and 8 others, as well as interests in 18 other companies in various parts of the world. 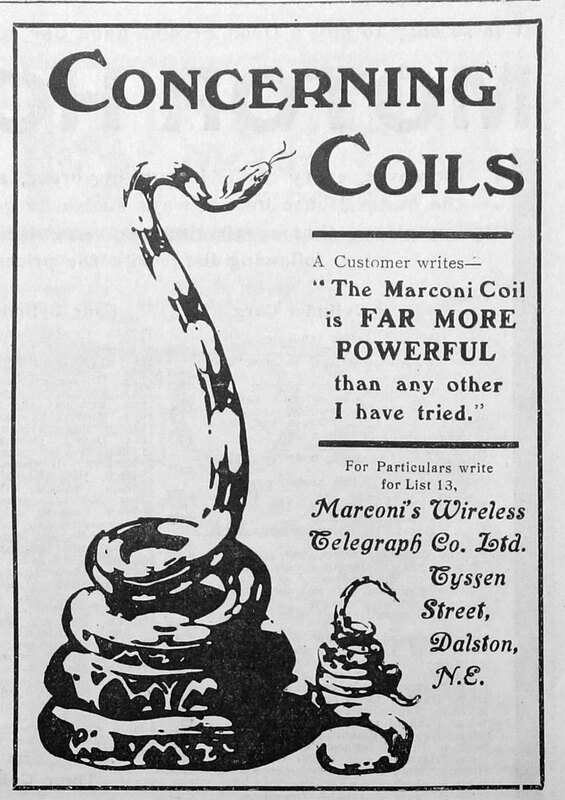 1929 Public company formed: Cables and Wireless Ltd. 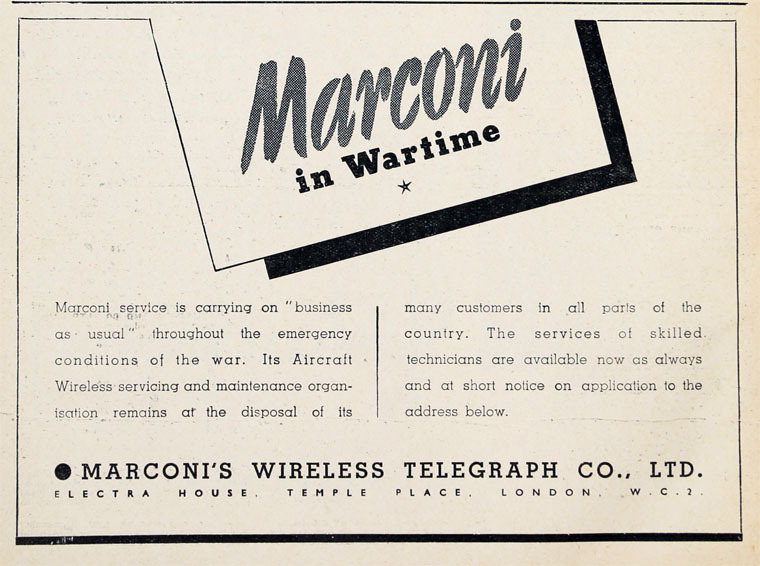 This was the merger company which held the interests in Marconi's Wireless Telegraph Co (and others) by a complicated exchange of shares with the merger company; the operations of Marconi's Wireless Telegraph Co other than its communication assets remained with the company. 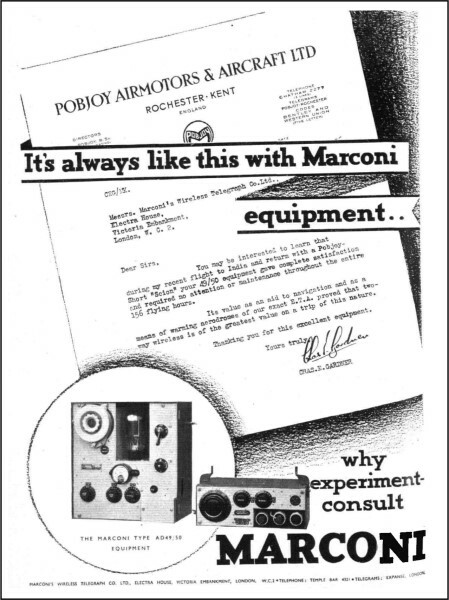 1929 Gramophone Co acquired Marconiphone Co as well as Marconi's share in M-O Valve. 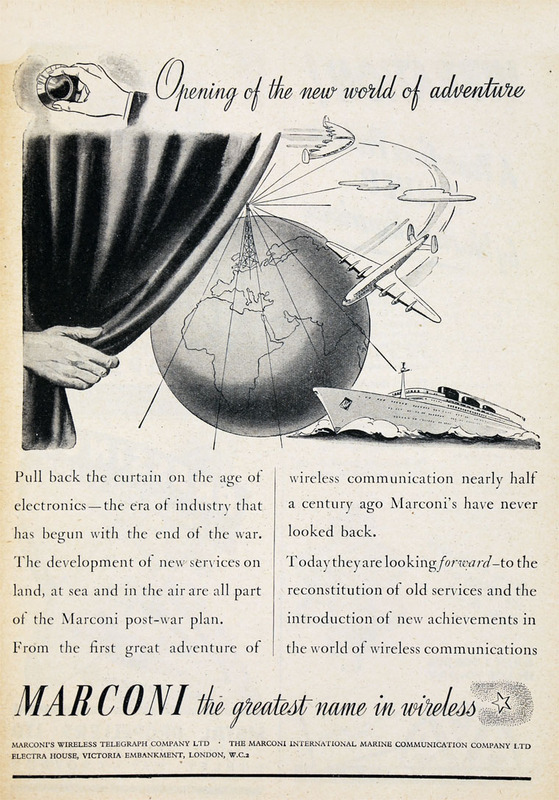 1930 Research and development was focussed on broadcasting and radio reception including aircraft and short-wave radio communications (the development and production of receivers had been disposed of with the Marconiphone business). 1932 Guglielmo Marconi returned to the study of very short wavelengths and personally supervised the installation of the first microwave telephone link which connected the Vatican City with the Pope's summer residence, Castel Gandolfo. 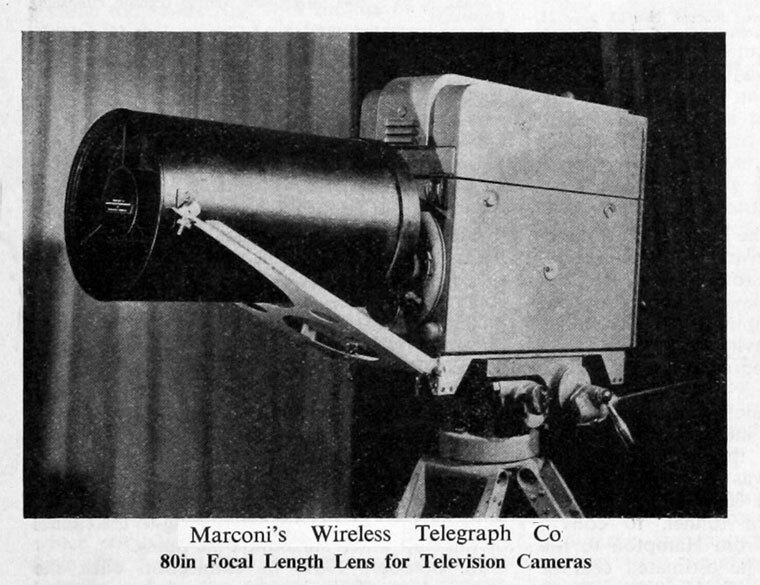 1932 Guglielmo Marconi was not greatly interested in television. 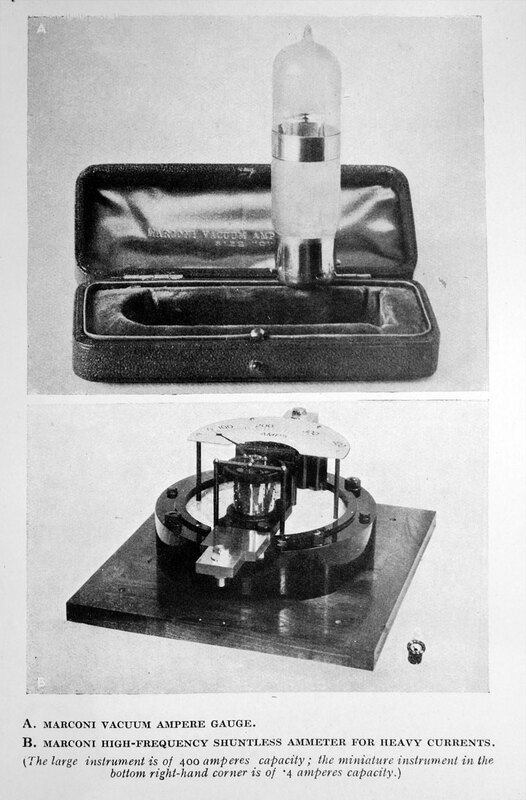 His company in England however, was deeply involved in advancing the new medium and built 2 transmitters which were used for trials. 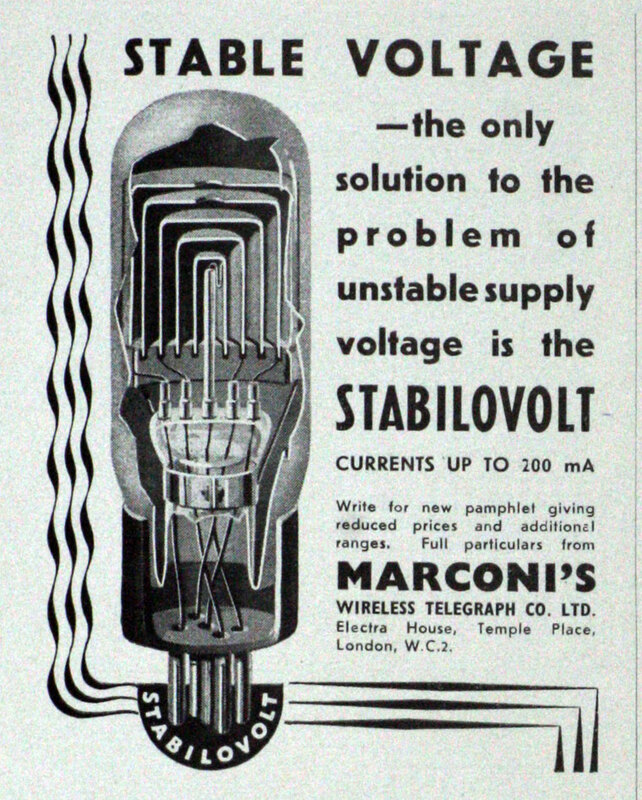 1934 Marconi's television interests were merged with those of EMI Ltd in a company called Marconi-EMI Television Co in which Marconi's was responsible for all aspect of transmission. 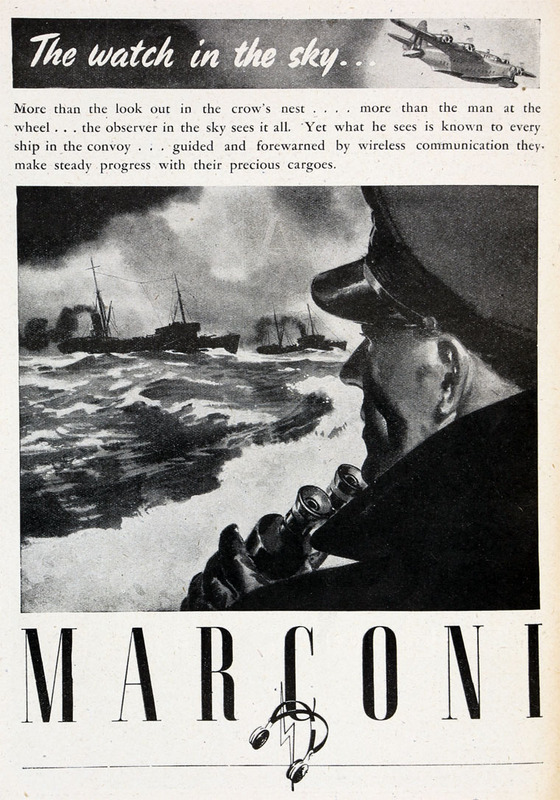 1935 Guglielmo Marconi moved to Rome never to leave Italy again. 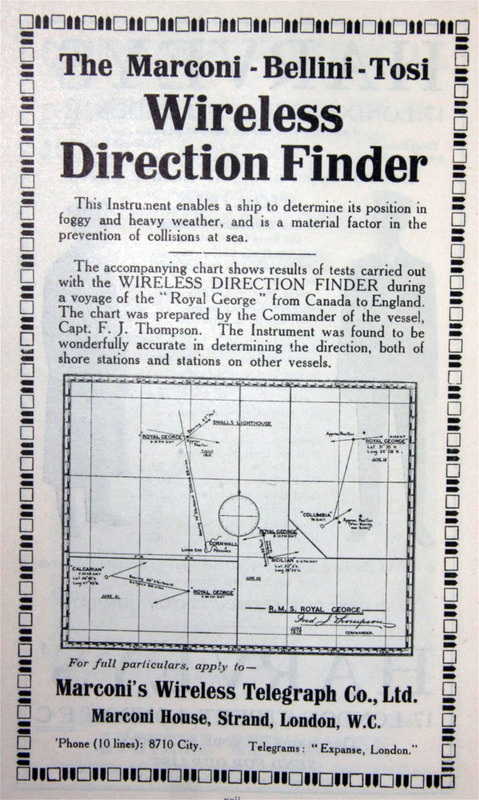 He had demonstrated the principles of blind navigation in the early 1930s, and by 1935 Sir Robert Watson-Watt was beginning his experiments with radar off the Suffolk coast. 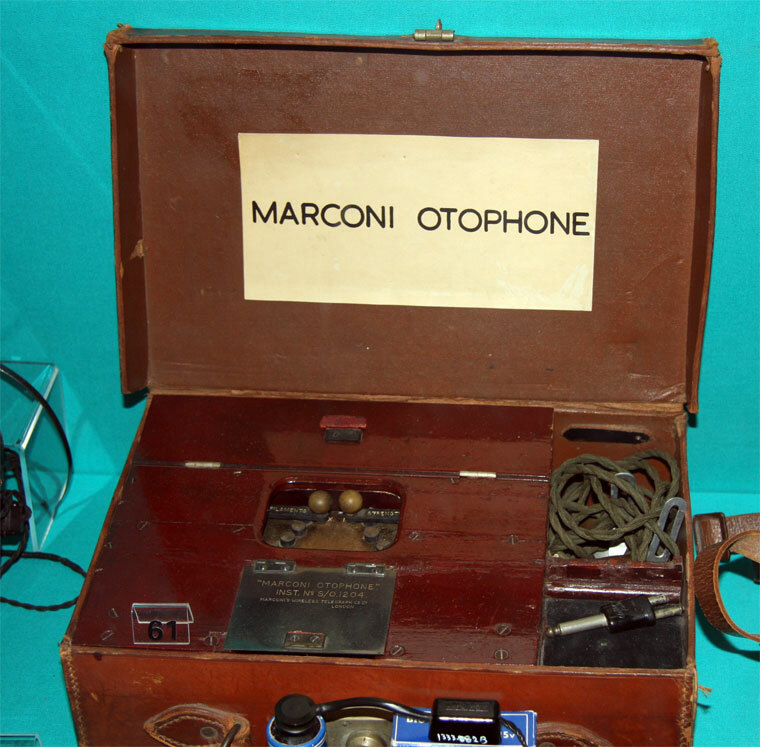 1936 The Marconi-EMI system was adopted by the BBC for its public high definition television service - the first in the world. 1936 Decided to build a research centre at Great Baddow to bring together the teams working on radio, television and telephony. 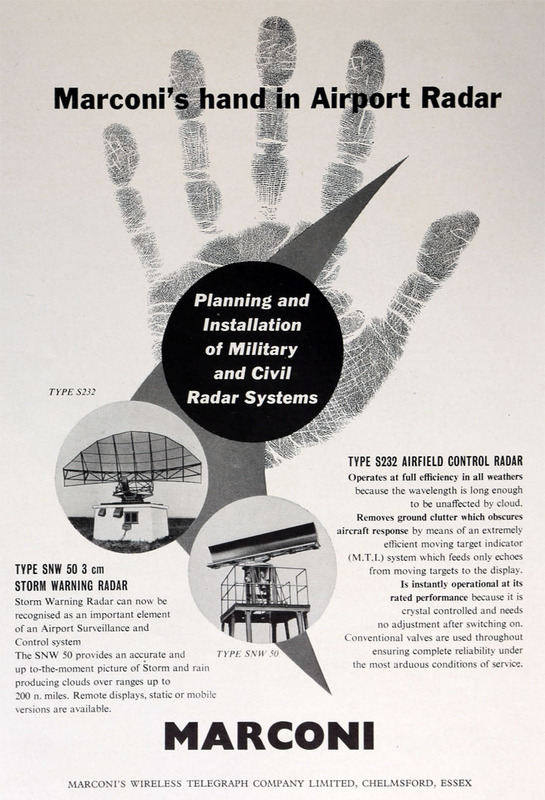 1937 The Company acquired the expertise to fulfil Government orders for transmitter aerials for CH (Chain Home) stations, Britain's first air defense radar network. 1937 Guglielmo Marconi died in the early hours of 20 July, aged 63, and his body was laid to rest in the mausoleum in the grounds of Villa Griffone. In a fitting tribute, wireless stations throughout the world fell silent for 2 minutes and the ether was as silent as it had been before Marconi. 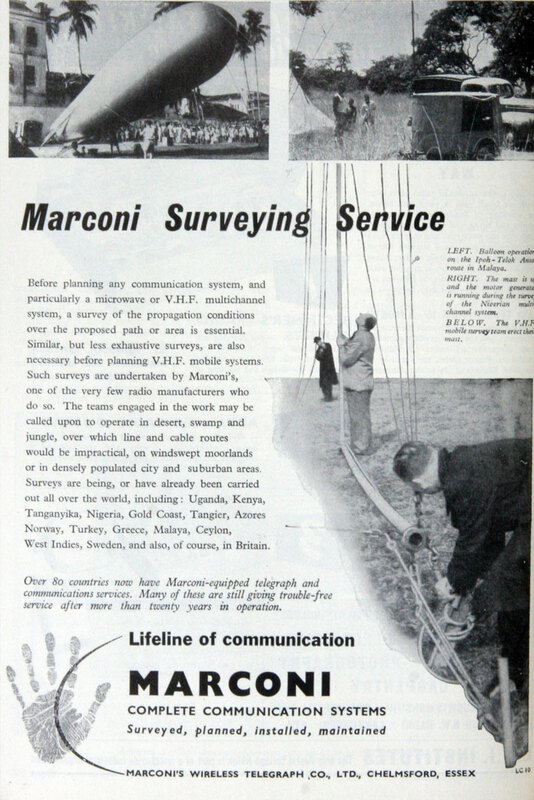 1946 The holding of Cable and Wireless in Marconi’s Wireless Telegraph Co was acquired by English Electric Co. As well as the whole of the share capital in Marconi's Wireless Telegraph Co, this also gave EE 42% of Marconi International Marine Co and the entirety of Marconi Instruments Ltd.
1958 Business in navigation, radar, radio and television; Marconi Instruments Ltd subsidiary offered more than 100 different instruments and was developing in nuclear power instrumentation, guided weapons testing and multi-channel radio link equipment. 1960 A consortium of AEI, Automatic Telephone and Electric Co, Ericsson TelephonesLtd, GEC, Marconi's Wireless Telegraph Co, Plessey Co and STC formed a holding company Combined Telephone Holdings only days after its members had failed in their bid to acquire Telephone Manufacturing Co. Combined Telephone Holdings purchased for cash more than half of the shares in Phoenix Telephone and Electric Works and offered to purchase the rest. 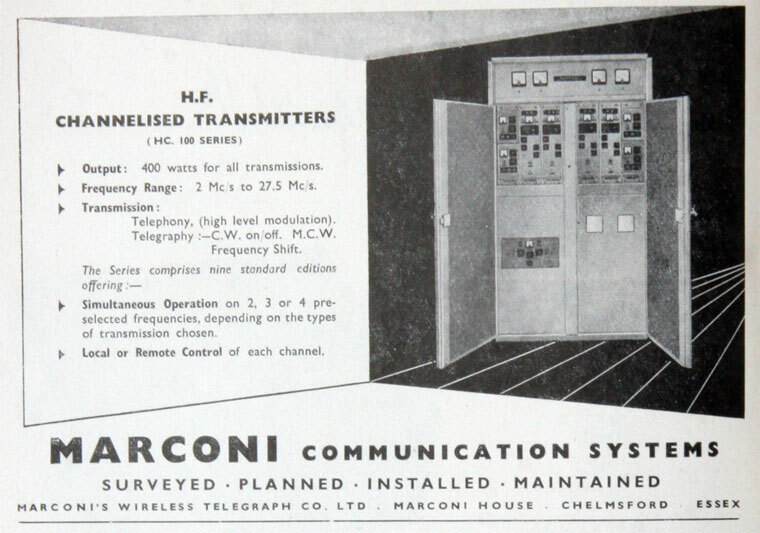 1961 Marconi's Wireless Telegraph Co was a subsidiary of English Electric Co. Employed 8,750 persons. 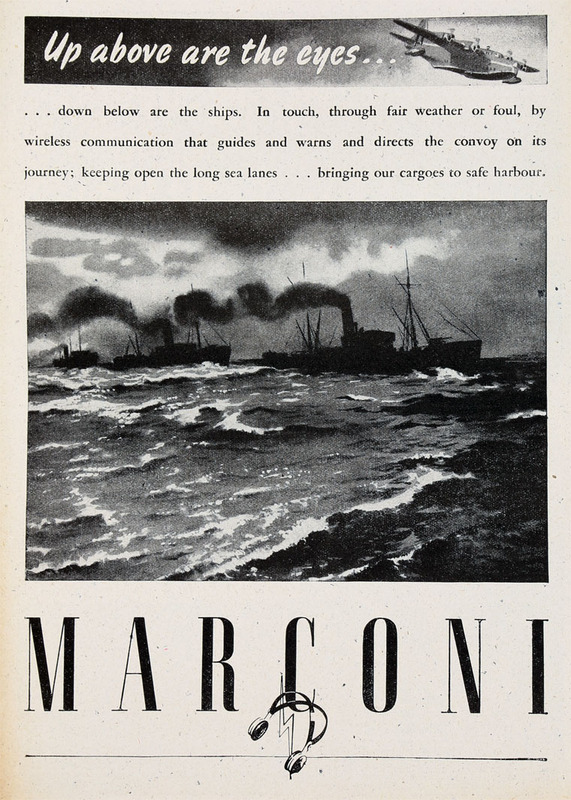 Another subsidiary was Marconi Instruments and, as an associated company, Marconi International Marine Co Ltd.
1965 Restructuring of the Marconi Company to focus on growth markets. The Company was split into three main groupings: Electronics, Communication and Microelectronics. 1968 English Electric Co acquired by GEC. 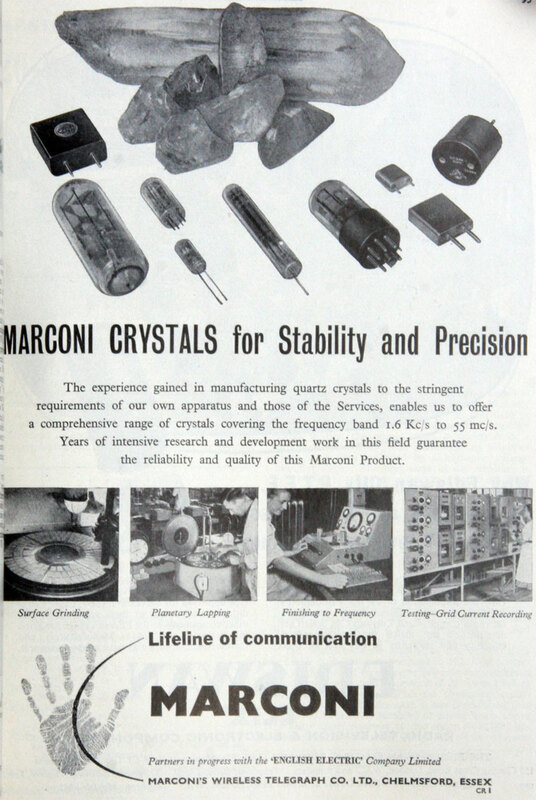 As a result, the various Marconi units were incorporated in different parts of the new group most particularly: GEC-Marconi Electronics and Marconi-Elliott Computer Systems (which incorporated parts of Elliott Space and Weapon Automation, Marconi and GEC-Elliot Automation). 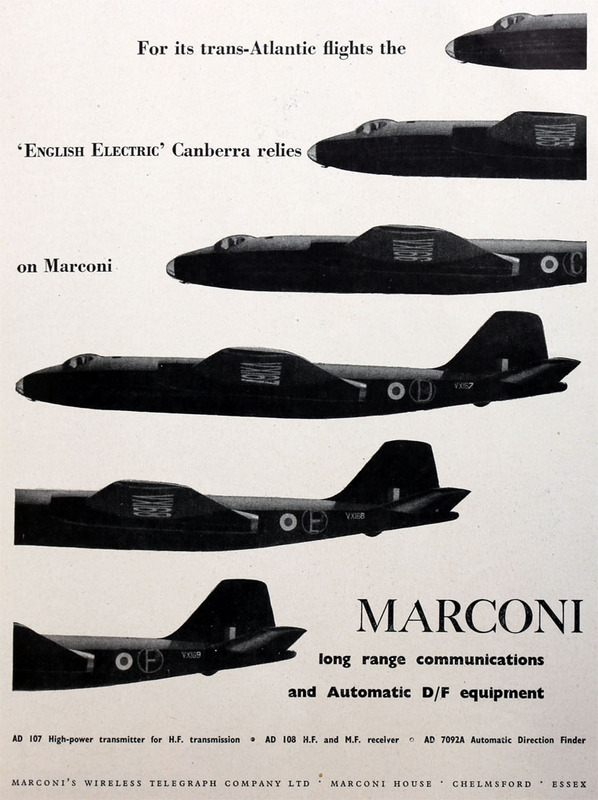 In 1998 the defence-related parts of the group became Marconi Electronic Systems (MES). 1999 MES became part of BAE Systems. 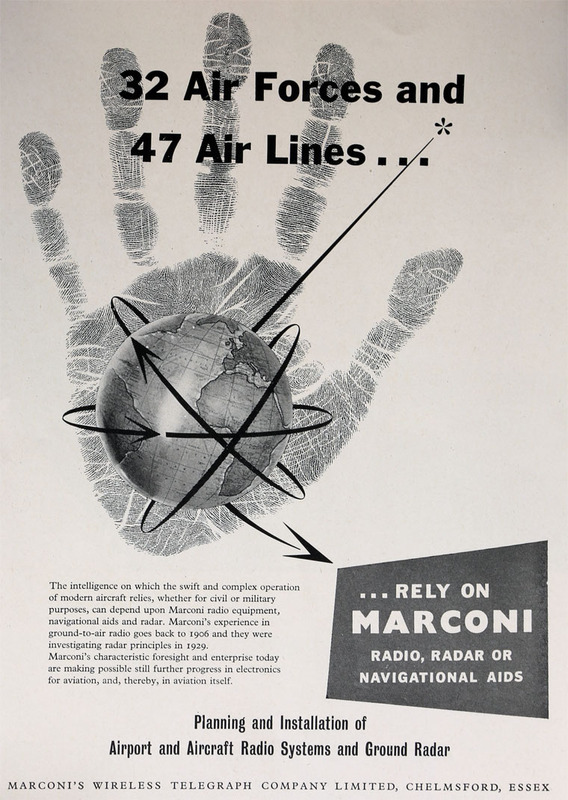 The Marconi Company should not be confused with the Marconi Corporation which was created in 1999, by the renaming of The General Electric Company (GEC), minus the Marconi Electronic Systems business. 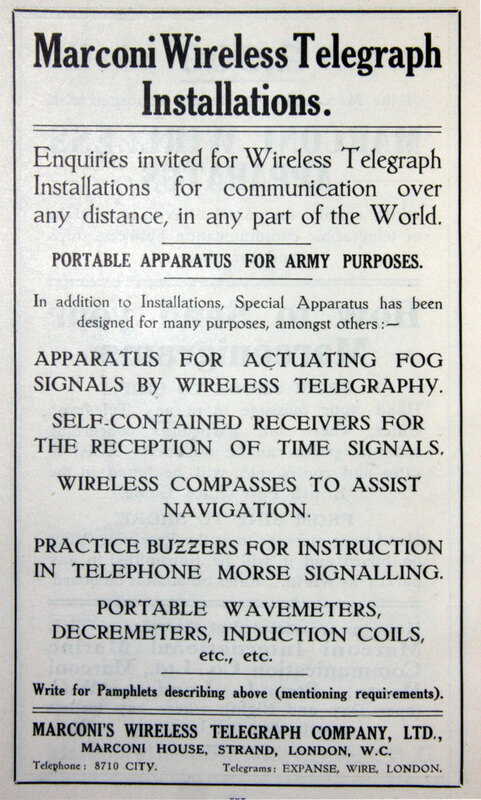 ↑ Year Book of Wireless Telegraphy and Telephony 1925: Biographical Notices. This page was last edited on 5 February 2019, at 11:22.